PALM BEACH, Florida, Feb. 7, 2019 /CNW/ — The seemingly never ending rise of revenue projections for hemp products goes hand-in-hand with the consumer markets growing acceptance of the products inherent attributes. Research reports find that: “The global industrial hemp market size was estimated at USD 3.9 billion in 2017, expanding at a CAGR of 14.0% over the forecast period. Growing demand for hemp-based food products including cooking oil, dairy alternatives, flour, and salad dressings is expected to drive market growth. In addition, rising demand for bakery products such as bread and cookies is expected to drive the market. The report continues:” The industry is witnessing growth on account of increasing consumer awareness pertaining to benefits associated with hemp products. The product is a rich source of omega-3 and omega-6, amino acids, and proteins. 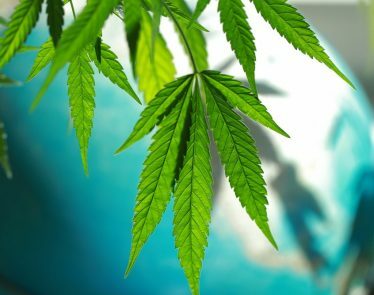 These nutrients aid in insulin balance, cardiac function, mood stability, and skin and joint health, which is expected to complement industry growth.” Active companies in the cannabis industry this week includes: Future Farm Technologies Inc. (CSE:FFT) (OTCQB:FFRMF), Green Growth Brands Inc. (CSE: GGB) (OTC: GGBXF), Aurora Cannabis Inc. (NYSE: ACB) (TSX: ACB), The Green Organic Dutchman Holdings Ltd. (OTC: TGODF) (TSX-V: TGOD), OrganiGram Holdings Inc. (OTC: OGRMF) (TSX-V: OGI). Future Farm Technologies Inc. (CSE:FFT) (OTCQB:FFRMF) BREAKING NEWS: As it prepares to begin selling its inventory of Cherry Wine hemp seeds for CBD-producing hemp, Future Farm Technologies is pleased to announce that its Mainesubsidiary, Future Farm Maine, will soon be offering for sale its inventory of Cherry Wine hemp seeds for CBD-producing hemp.